Larry Craig: well…. they called him ‘Superman’. He graduated from the University of South Carolina where he participated in football, basketball and track. 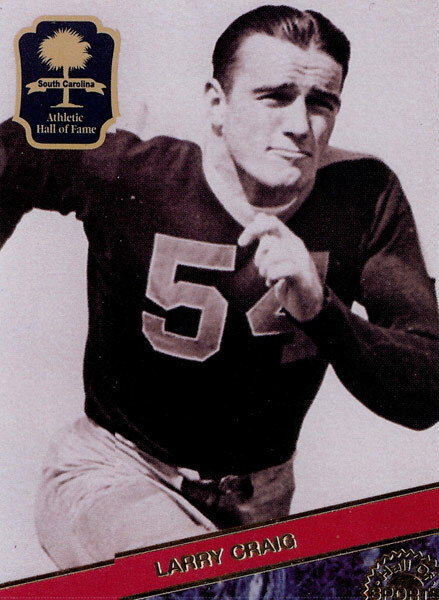 Craig was the Captain of the 1938 football and track teams and named All Southern at USC in 1938. 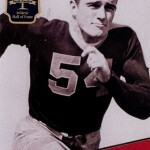 He was selected All Pro after his first year with the Green Bay Packers and played with the Packers from 1939 to 1950. Craig was named All-Pro blocking back six times and an All-Pro defensive end six times. Craig also played in the Chicago Tribune College All-Star Game twice as a member of the post season games, which today are called Pro Bowl games. Craig played a total of 171 pre-season, regular season and playoff games during his years with the Packers and was named to the Packers Hall of Fame in 1973. Craig was named to the South Carolina Athletic Hall of Fame in 1976. After retiring from the Packers, he owned and operated a cattle farm and the Ninety Six Canning Company.